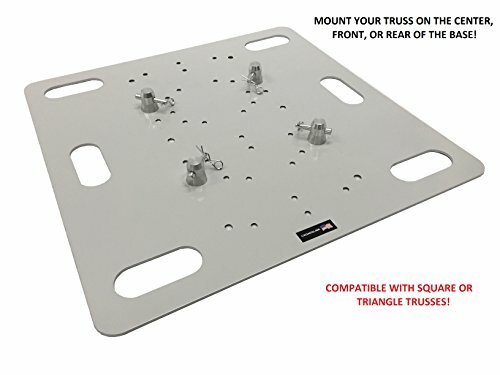 New from CedarsLink is this revolutionary 26" X 26" truss base! This base allows you to upright mount your 290x290mm. aluminum square truss section, truss poles, your CedarsLink metal triangle truss section with 6" diameter between bolts, or your CedarsLink linear truss section with 6" diameter between bolts. The strong metal build keeps your truss sections sturdy and upright in the most demanding situations. Rounded edges to avoid injury. Unit weight: 38 LB.